A man fakes his own death to get out of his phone contract in this year's Sprint commercial. Want to see the Super Bowl commercials without actually sitting through the Super Bowl? Well, you're in luck. Advertisers, shelling out as much as $5 million for a 30-second spot during the game, are looking to get more bang for their buck by unveiling their spots as soon as possible. This helps broaden brands’ audience and exposure, while allowing people to check out the advertisements on their own time, according to Jordan Cohen, the chief marketing officer of Fluent, a platform that collects marketing data. "I often joke (although it’s not really a joke) that the Super Bowl is the only show on television that people tune into and actually want to watch the commercials," he said. Releasing Super Bowl commercials early has become a major trend in recent years, according to Brian Riordan, president of advertising firm NSG/SWAT. "But recently, the new trend has been to create additional "teaser" content that either sets up the premise of a story or features totally new content that plays off the primetime spot," he said. Riordan added that the most notable year that the internet had an impact on the Super Bowl was 2000, which came to be known as the "Dot Com Super Bowl," when almost 20 percent of commercials came from dot-com companies that many people had never heard of. Since 2000, the internet has developed into what Riordan calls a "sophisticated marketing landscape," helping advertisers frame a spotlight on Super Bowl commercials. "Even though our society seems to consistently bombard us with digital content, one thing still remains strong, and that is on Super Bowl night, live TV is still enjoyed on a large flatscreen with friends," he said. And depending on who you talk to, the commercials continue to be, "the best thing about the Super Bowl." According to Fluent's research, about 31 percent of people plan on watching Super Bowl ads online prior to the game. Cohen said that in this day and age, he believes that a number of people will choose to DVR the game and skip through commercials, or turn away from the TV while they're on, Super Bowl ads have developed a reputation for entertainment that causes people to seek them out before the game. This year, Cohen said Anheuser-Busch stands to be a winner with its game night advertisements. He said its Budweiser brand "[takes] the crown as the most eagerly anticipated repeat advertiser of the evening," while Busch, a newcomer, is the most eagerly anticipated first-time advertiser. Adding that it will be interesting to see how other newcomers fare, Cohen said, "Given their strong pre-existing brand equity, it will be interesting to see if advertising in the Super Bowl does any good for first time advertisers Febreze and Mr. Clean." Last year, Fluent found that advertising on game day helped lesser-known brands, like Marmot, Bai, SoFi and Sun Trust Banks. It did not, however, strongly affect more established brands like Colgate, Amazon.com and Quicken Loans. Overall, Cohen says that consumers statistically favor "funny" commercials, so viewers can count on brands to bring humor to the screen. Animals are also a crowd favorite, with celebrities following. Riordan echoed Cohen's prediction of humor, saying, "And given the intense political climate right now, laughter is the perfect thing that Madison Avenue can give to the largest TV audience of the year. Smart and funny advertising helping to unite the country, even if just for :30." Ad critic Barbara Lippert says that while "people need an escape," like the Super Bowl, this year's matchup on the field feels "so much less important than what's going on politically." To get the attention back, some advertisers are turning to nostalgia, celebrities and marketing stunts. P&G is sexing up Mr. Clean, Honda is featuring nine celebrities and Snickers is running a live ad. Here's an early peek at some of the commercials you can expect to catch during the big game. Lady Gaga stars in the jewelry brand's commercial, preaching about challenging the status quo. Rob Gronkowski is in yet another Super Bowl commercial! He stars alongside Justin Bieber and Terrell Owens, in a commercial for T-Mobile in which they show off their dance moves. A golden Colonel Sanders will hit the screen in KFC's spot this year. Audi's intense commercial hits on progress, emphasizing it believes in equal pay for equal work. The ad shows a young girl racing while her dad's voice is played as he talks about the way society treats boys and girls differently. It addresses gender equality as a man muses about his daughter receiving equal pay as men one day. Parents and children alike can sympathize with King's Hawaiian's commercial. Kids always end up finding the food their parents hide—no matter how hard they try. John Legend’s "Love You Now" plays in the background of this commercial, as people become captivated by rain that produces art. The phone company emphasizes that there's no need to take extreme measures when switching phone companies. Nintendo advertises it's new device, Switch, in this year's commercial. The ad shows how interactive it can be. Take a step inside Wendy’s "Frozen Beef Storage" to see what goes into their burgers. Viewers will see Patriots quarterback Tom Brady in more places than the football field. Brady stars in Intel's commercial this year, showing that "you can make anything look epic." The car company has released four separate teasers for this year's commercial, leaving viewers to wonder just what, exactly, "Easy Driver" clips are all about. One thing's for sure, the fourth quarter ad is certainly tough. Their candy isn't the only sweet thing about Skittles. The company shows how a boyfriend's dedication can fill the whole the heart's of a whole family in this commercial. Avocado lovers, rejoice! There's something for you this year. Comedian Jon Lovitz stars in the somewhat eerie, though hilarious, commercial sponsored by the non-profit. This website building company's ad is action packed and a just a tad destructive. A restaurant gets ruined, yet the chef doesn't fret because his website looks great. Tax season is upon us, so it's only natural that TurboTax remind viewers how dangerous doing your taxes can be when you're an egg sitting on a wall. A short teaser of this year's Mr. Clean commercial shows the cleaning figure finally finding a partner. BWW brings the heat in this year's commercial, featuring former Green Bay Packers quarterback Brett Favre. Others are touching on social issues, without being too blunt about it. Budweiser won the pre-game buzz with a sweeping cinematic ad showcasing founder Adolphus Busch's 1857 immigration from Germany to St. Louis. Although it has been in the works since May, the ad felt topical, as it was released online just days after President Donald Trump's travel ban against people from seven Muslim-majority countries. The ad got more than 8 million views on YouTube in just four days. Budweiser appears to strike a political chord in this year’s commercial. It tells the story of the company’s founder, who journeyed to America to create the well-known beer brand. Tom Brady isn’t the only Patriots player making an appearance in this year’s commercials. Rob Gronkowski will star in Tide’s commercial. Jeffrey Tambor also appears, visiting Gronk’s dry cleaning business. Kia attempts a humorous approach. In an ad for the Niro car, Melissa McCarthy takes on political causes like saving whales, ice caps and trees, each time to disastrous effect. The message: "It's hard to be an eco-warrior, but it's easy to drive like one" with a fuel-efficient Niro. There's no shortage of artistic expression in Lexus' commercial. Drawing on the inspiration cars can provide, the subject of the commercial dances and drives around in a Lexus LC. In a 10-second teaser of their ad, GNC hints at inspiration, with "Change Is Coming" written across the screen. Febreze will take to the screen with a commercial based on the "Halftime #BathroomBreak." It reminds viewers about Febreze’s products, because "the things you love the most, can stink the most." Ford reminds viewers that when the going gets tough, everyone has a voice encouraging them to "Go Further." 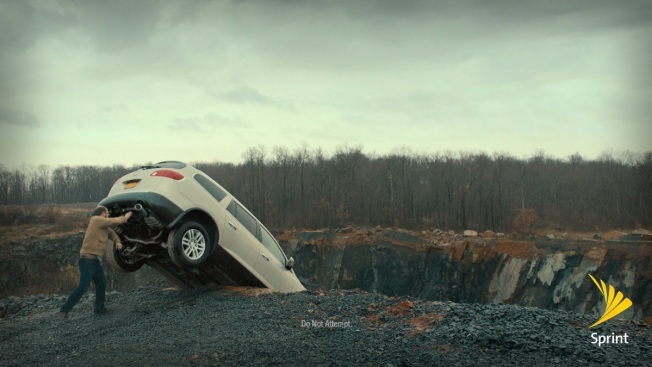 The car company is advertising its new developments that can help consumers when they're stuck. A kangaroo—whose image is used on bottles of Yellow Tail—shows up at a party, hangs out with Ellie Gonsalves, and promotes having a good time in this year's commercial. John Malkovich is trying to start a men’s fashion line and needs the domain, johnmalkovich.com to create his website in Squarespace’s commercial. Cam Newton and Miranda Kerr star in Buick’s commercial this year—and yes, it involves football. Adam Driver stars in this year's Snickers commercial, but there's a catch. It's going to be live! The car company will feature NFL Hall of Famers Mike Singletary and Joe Montana in this year's commercial, which will be filmed during the game, and shown at the end. GoDaddy strikes a softer tone than usual in this year's commercial, starring a panda, cats and...a horse head? Building supplies retailer 84 Lumber had to revise its original ad because a scene featuring a border wall was deemed too controversial by Fox. The new ad shows a Mexican woman and her daughter making a trip by foot across Mexico. The ad's ending will be revealed at halftime at http://journey84.com ; the website suggests excised footage will be shown.